Discover our honeys at Tastes Delicatessen in Eton High Street. 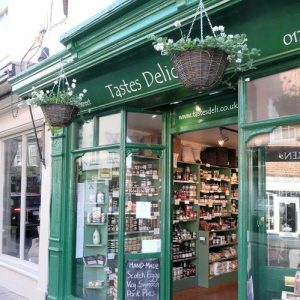 Tastes Delicatessen sells a range of gourmet food including jams and preserves, cured meats and cheese as well as freshly baked pies and tarts. You will also find the best sausage rolls around! Tested and approved!